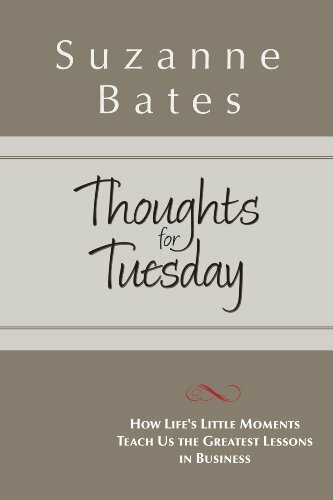 Thoughts for Tuesday – emerson consulting group, inc. The most successful people in the world share a common characteristic. What’s their secret? They look at the triumphs and tribulations of their lives as opportunities to learn and grow. They reflect on their personal moments to guide them along the way. And, they see the lessons in these moments as wisdom to share with others. Each week, in her wildly popular weekly blog, “Thoughts for Tuesday,” bestselling business author and CEO coach Suzanne Bates has been doing just that – sharing everyday experiences and translating them into stories that inspire her readers. 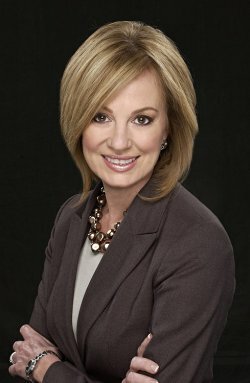 As a speaker, leadership coach, CEO, and former award-winning television news anchor, Suzanne has a unique lens through which she views life’s little moments. This anthology of Thoughts for Tuesday “fan favorites” will make you laugh, cry, and reflect. Suzanne shares compelling, inspirational, and sometimes humorous stories that will make you look back at your own personal experiences through a whole new lens. 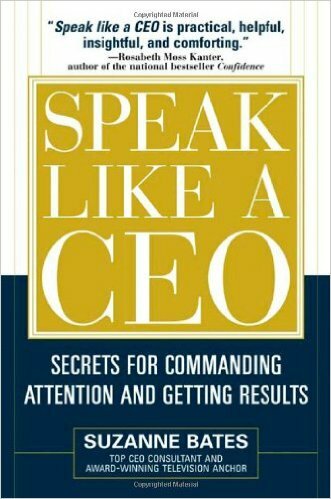 This book offers readers something they can’t find in today’s most popular business books: a practical, tested perspective and strategic planning process that works for the legions of companies that don’t have the resources of an Apple, GE, or P&G. 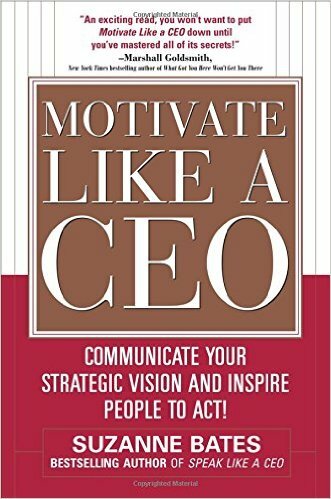 Readers will gain a deep understanding of what strategy and strategic planning is; why it’s critical to their organization and their own success; and how to create, implement and sustain a strategy that literally turns vision into reality. 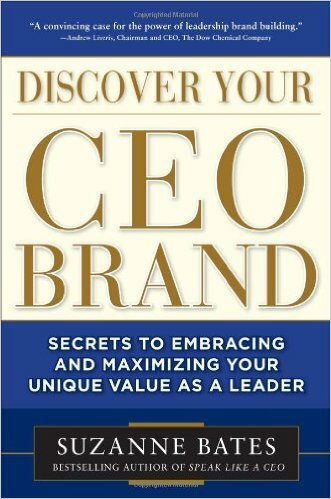 Executive teams are searching for the magic elixir of success. The appeal of such alchemical magic is obvious. If a company’s managers do just this one simple thing, or follow this simple, easy plan, they too can enjoy profit margins and stock prices just like the “it” company of the moment. The process of successfully growing an organization is like mixing chemicals together to create a reaction. 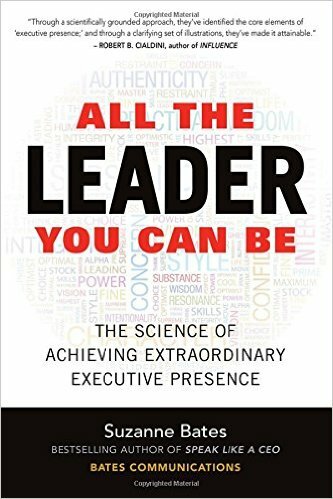 Ask the typical executive to name the most valuable tool in the process of creating a chemical reaction, and they’ll offer such answers as the quantity of certain chemicals, the quality of the lab facility, the combination of two or more elements and so on. That’s because we tend to be so rooted in tactical thinking that we miss the larger equation. The reality is that the most important tool in creating the desired chemical reaction – or growing a company – is the formula that describes its “big picture” results. What do we want the company to look like in the future? Why do we want to look like that? 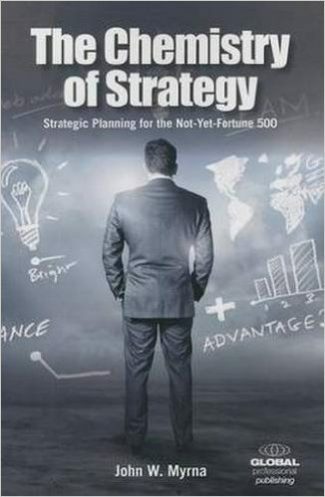 This strategic planning approach derives from the author’s own alchemist-like professional search to find the magic formula for transforming the value of companies. It’s a jungle…in here! Most of us do too much, or have more possessions than we need. Or both. Our lives are caught in a swirl of attachments, overwhelm, and endless mechanical “doing.” As humans it is our nature to experience clarity and spaciousness all the time. The problem is we lose focus, get off balance, and forget how. 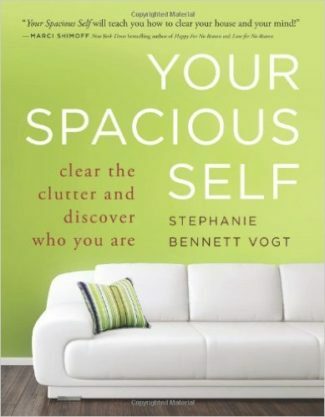 With inspiring lessons, humorous stories, and nourishing practices in slowing down, simplifying, and self-care, longtime space clearing expert, Stephanie Bennett Vogt, shows you how to clear your home, quiet the mind, and restore your spirit, in ways that feel good and last a lifetime. Your Spacious Self shows us that it’s not our stuff, but holding on to it that creates a force field of “stuckness” that clouds our perceptions and paralyzes our lives. Clutter is not just the junk spilling out of the closet. It is any thing, or thought, that prevents us from experiencing our true nature and best life. Clearing is not a tedious exercise in throwing away, but a gentle journey of letting go – one small step, drawer, or moment at a time. Included are daily tips and meditations, a weekly worksheet, and six sample meeting agendas designed for book groups and “clearing circle” support groups. If you buy insurance, drive a car, ride in a car, ride a bike or walk on roads where cars drive, this book is a must read. 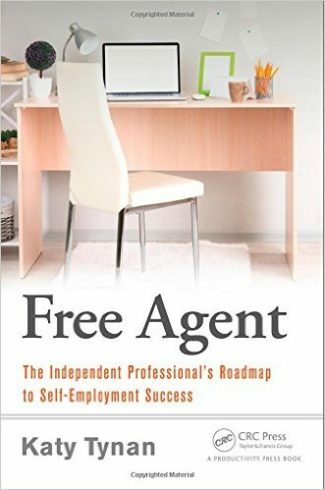 Exceptionally different than the books written by attorneys, this book is written by an injured person who recovered more than a quarter-million dollars. 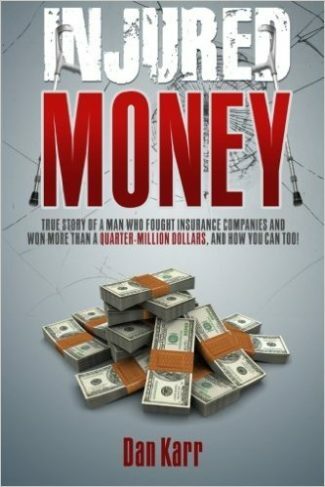 Based on a true story, the author takes you through the events immediately following an accident all the way to settling multiple insurance claims and a lawsuit. At every step along the way, there is a clear description of the pitfalls to avoid so that you too can maximize the money you receive. Calculate the value of your injuries and determine if filing a claim is worth your time and effort. Take the four steps to file, negotiate and settle your claim. Represent yourself without an attorney to maximize financial gain. Hire, compensate and manage an attorney if you choose to do so. Know what to say to insurers, and when to say it. Know what not to say to insurers. Learn how to work with your medical insurer so they don’t cancel coverage. Select an auto insurance company that will honor the policy they sell you. The final two chapters of the book analyze the insurance industry, documenting how insurance companies systematically delay and deny claims. Reading these chapters will create a shocking awareness that consumers are buying a product called insurance, but in fact are spending hard-earned money with companies that no longer honor the insurance contracts they sell. The final chapter lays out a clear plan for what consumers can do to protect them from buying insurance that won’t protect them. Several years ago, cardiologist Bob Carey, M.D., decided he wanted his grandchildren to understand how much he had learned over his 56-year career not from his colleagues or from medical school but from his patients and their caregivers. “I wanted to share their kindness and courage,” he explains. “I wanted to write stories about my patients so my 12 grandchildren could learn from them as I had.” His daughter shared what he had written to an author who encouraged Bob to realize a book. Now Dr. Carey’s dream has finally come true! “Patients Teach a Doctor About Life and Death: Tales from Fifty-Six Years of Practicing” is a compendium of detailed and inspiring personal vignettes culled from Bob’s experiences over half a century. Beginning with his early years at Boston University Medical School’s main teaching hospital (now called Boston Medical Center) in the early 1950s, Bob’s book recounts the story of his treating his very first patient, Gladys: “a tall lady with enlarged lymph nodes in her neck” originally diagnosed with Hodgkin’s disease. Though ultimately dying from heart disease and kidney failure, Gladys remained Bob’s patient for nearly two decades, teaching Bob that “one can never be absolutely certain of a person’s ultimate prognosis.” This lesson stayed with him throughout his many years of practice. 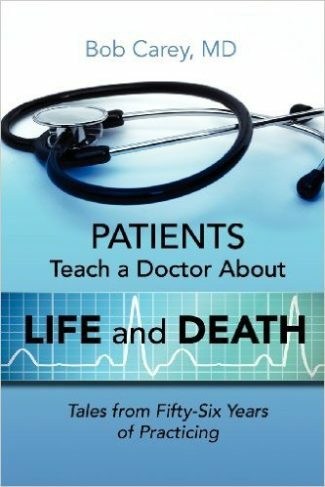 After the initial introduction, “Patients Teach a Doctor About Life and Death” is divided into sections that describe his years in medical school, his military service in Okinawa, his years of medical residency as well as private practice, family experiences, time in China and extensive pro-bono work in South America. Each section conveys heartwarming stories from Dr. Carey’s unique point of view. A fellow doctor and friend R.A. Macdonald testifies that Bob’s book is the story of a doctor “who is a product of a largely bygone era… A time when doctors actually listened to their patients.” An absorbing read, “Patients Teach a Doctor About Life and Death” has much to say about how relationships work between doctors and patients from a medical standpoint as well as teaching us how curiosity and compassion play into successful outcomes. Proceeds of the book are being donated to a foundation established by Bob to provide scholarships for medical students to work with doctors in poor countries. Born in Arlington, Massachusetts in 1929, Bob Carey is a graduate of Harvard College and Boston University School of Medicine. In 1954 he married his high school sweetheart, Mary O’Neill, and the two went on to raise five children. In 1960 he joined a practice in Arlington, and later helped found Internist Inc., a group practice, in 1970. This practice joined Lahey Clinic in 1993 until Bob officially retired from medical practice in 1998. Since then, he has been teaching at BU and Harvard Medical School, and volunteering annually for pro bono medical service in Bolivia and Ecuador.